← Do you have a bucket list? Intention is a powerful thing. Combined with passion it is virtually unstoppable. Intention is more than just wishing; it’s more than wanting; it’s more than affirmation. It leaves no other option than to attain what you focus your attention on. Intention leaves no doubt. Intention is not wishy-washy. In the workshop he did with Dr. Deepak Chopra, How to Get What You Really, Really, Really, Really Want, Dr. Wayne Dyer lists four stages or levels that lead to manifesting your desires. Level one is wishing. Wishing is when you start to daydream about an idea or a goal. You wish for more prosperity or for love or for a new car. Wishing is a wisp of a thought. It’s a first step. Level two is wanting. Wanting is when you desire something enough to ask for it. Just asking out loud, clearly and without equivocation can be enough to bring something into reality. In every one of the Gospels, it tells us that Jesus said that if you ask, you will receive. Prayer is about asking (but don’t forget it’s also about thanking). Prayer is at level two and prayer alone is a powerful thing. Prayer has been the subject of medical research and some studies have shown that even long distance prayer by strangers can affect the healing process positively. In fact, and I’ve now mentioned this several times, asking is so powerful that you should always be careful what you ask for because, without a doubt, you will get it. Isn’t that a powerful thought? The idea that once you have a vision and the intention to achieve it, all of the energies of the Universe conspire to make it happen means that you have truly started to work in concert with the Universe. You really have begun to co-create the life of your dreams. Level four is when you add passion to your intention. 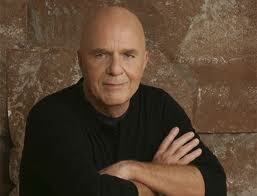 Dr. Wayne Dyer calls it ‘hardening of the will’. Passion is when you are single-minded and cannot be deterred from achieving what you want. Matthew 21:22; Mark 11:24; Luke 11:9; John 15:7. These are just a few. There are actually numerous scriptures that say the same thing; an indication to me that this is one of the statements that Jesus probably did actually make. This entry was posted in future pull, goal-setting, intention, passion and tagged Future Pull, Law of Attraction, personal power, ultimate blog challenge. Bookmark the permalink.